Decided to go to Little Rock, Arkansas today to visit the Clinton Presidential Libary, something I’ve wanted to do for years. Just a 2 hour drive west on route 40. 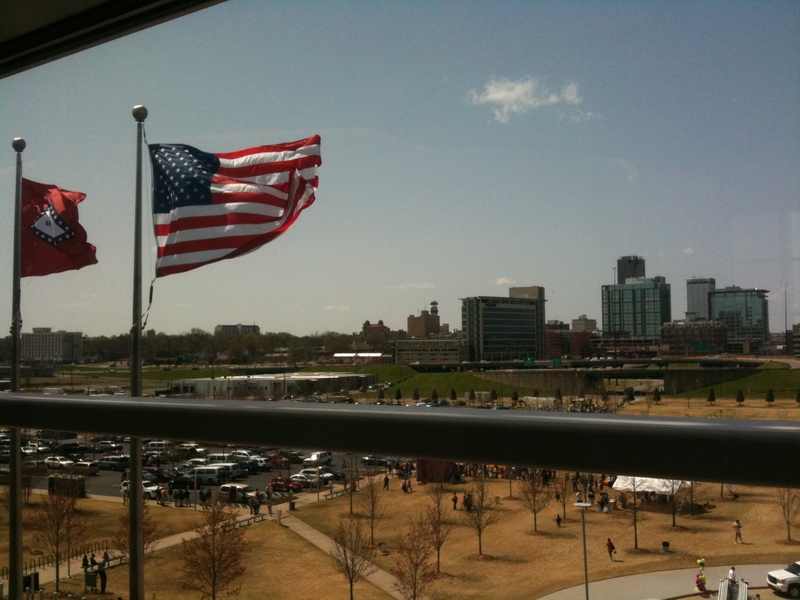 Little Rock was nice, what I saw of it. 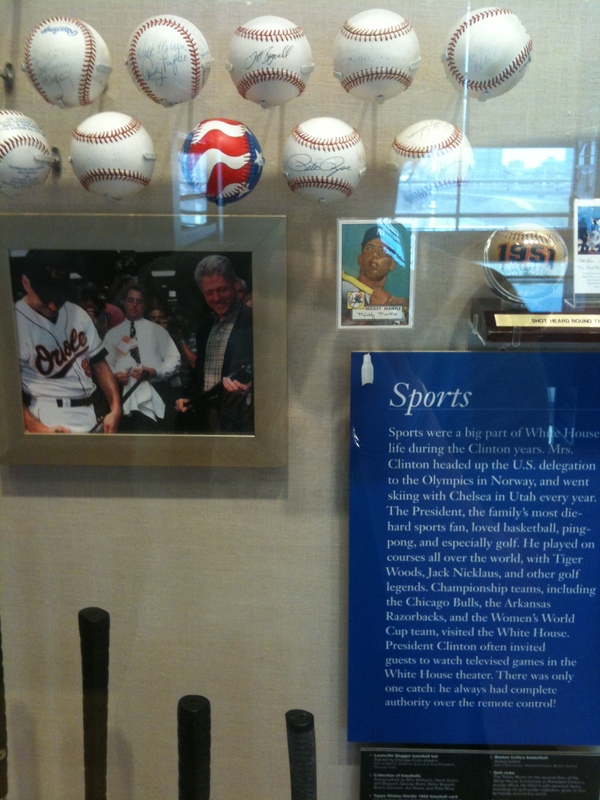 The Clinton Presidential Library was right off the exit, so I didn’t do too much exploring. 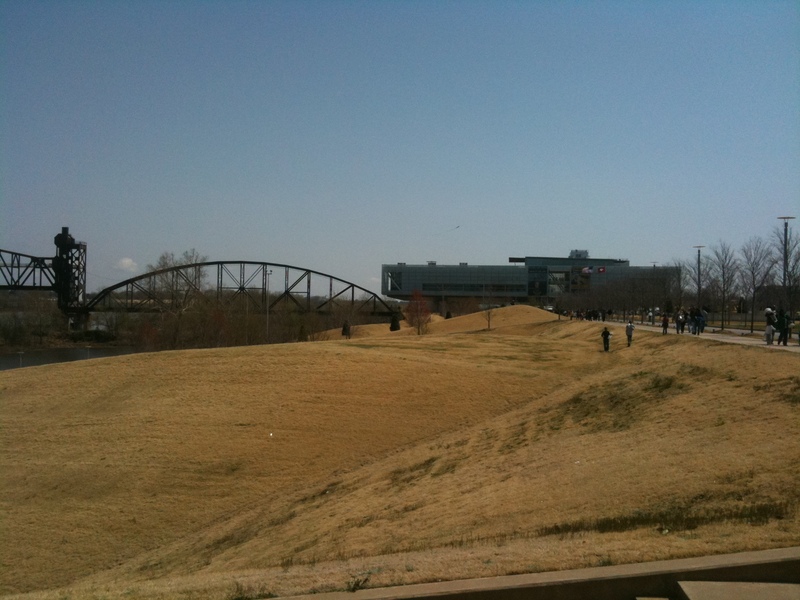 It is situated along the Arkansas River. Apparently I’m a sucker for towns on rivers. I went to the Library and walked around Rivertown, the area around the Library. Theyy were having some sort of fair in Clinton park with tons of little kids running around screaming, but luckily they all stayed outside. 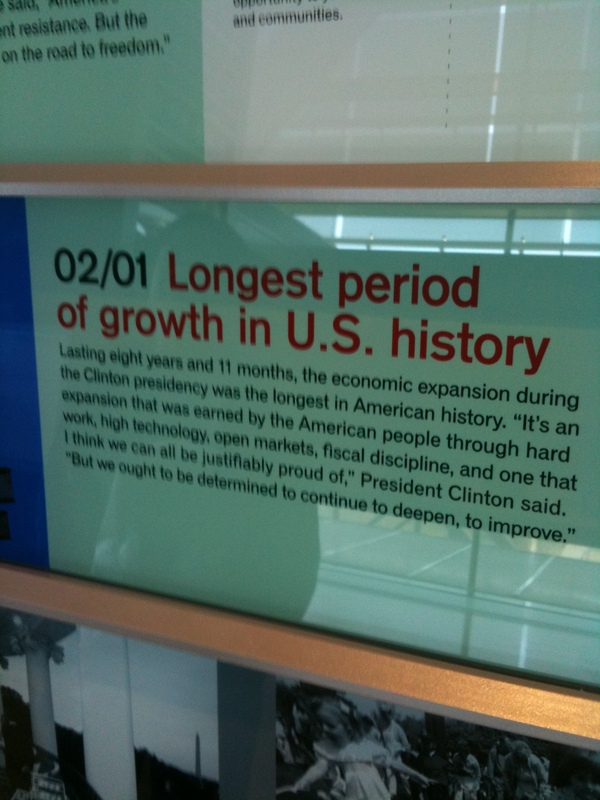 Clinton Presidential Library was great. It was mainly on 2 floors. 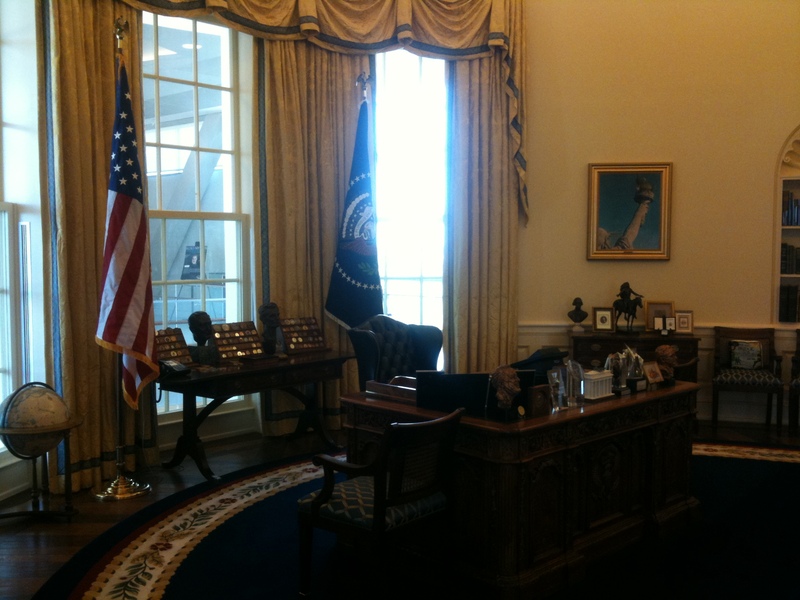 There was an introductory movie, an exact replica of the oval office complete with Clinton’s personal items, the cabinet room, a timeline of his years in office and all the gifts he received. 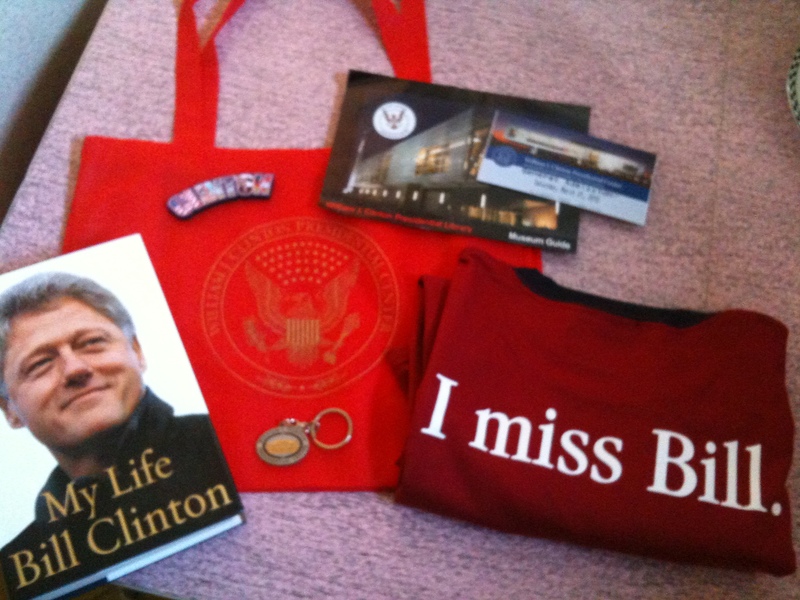 It was a great experience and made me miss Bill!